Using smart water metering to make a visual, scalable and collaborative impact! We are a diverse team and our members have worked in advertising, engineering, social media and software development. At TrueFlow we love to create smart and playful solutions that use technology to improve the world and make a difference. 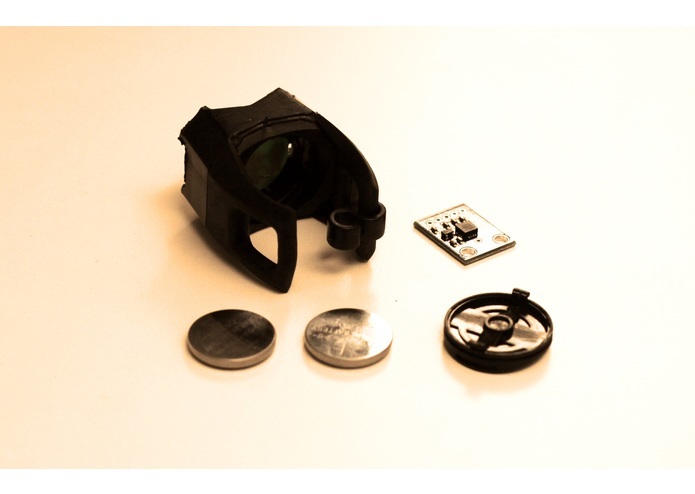 We have created a clip-on device based on the Artik 1 that combines high-precision accelerometers with low-power connectivity. By gathering and analysing acceleration data the device provides precise water flow measurement in real time. 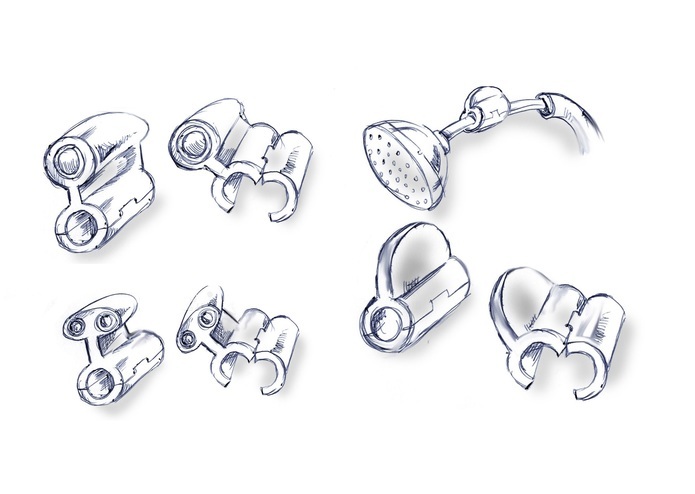 Using off-the-shelf components, we were able to produce an inexpensive and scalable solution, that can easily be adapted to different water measurement scenarios. 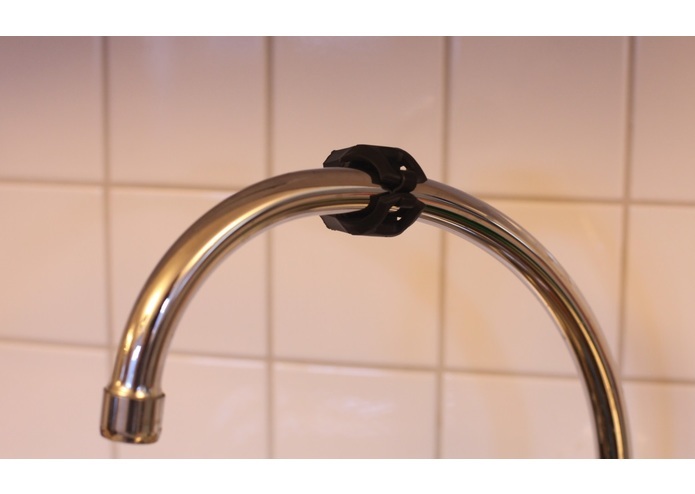 The flow measurement devices can be clipped on to a tap, shower or garden hose, be placed under a sink or behind a washing machine.The devices can also be attached to a main water inlet, which allows for leak detection. The flow data is transmitted from the clip-on device in real time to a central home hub. 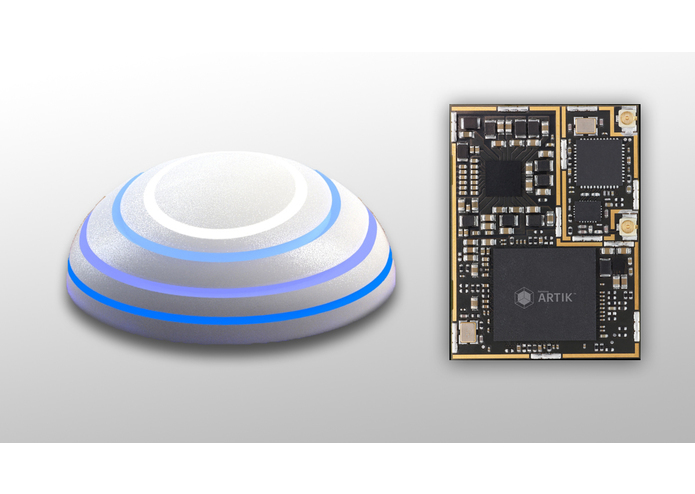 Using the Artik 10 as the central hub offers great connectivity options and allows for advanced data analysis. The hub also serves as a real-time indicator of water consumption in the home. 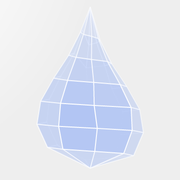 We have also created an iPhone and Android application that displays the water use in an immediate and intuitive way. The application allows for detailed statistics, based on where water is used, when it is used and how it is used. 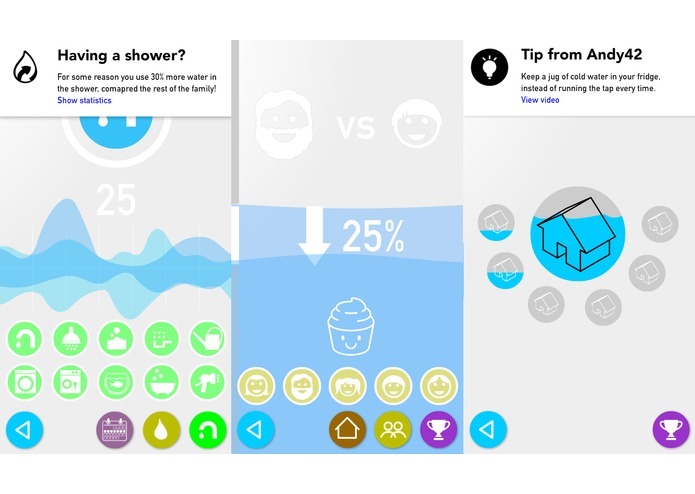 The application learns from the water usage patterns, and can give tips on how the water consumption can be improved. It can also be used to set limits or create challenges, so family members or friends can get rewards based on the size of their impact. It is also possible to team up and see how your family compares to the neighbors, and even challenge the house next door. The app also allows users to share their best water saving tips with each other, so the best ideas can have the largest possible impact. 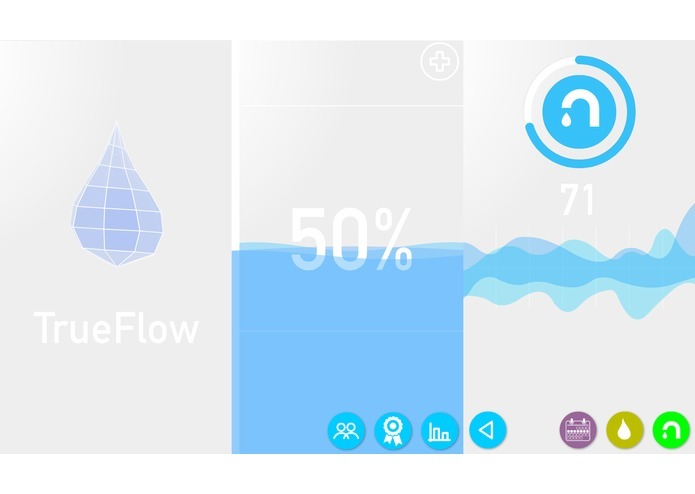 We believe that by using a flexible, inexpensive and precise clip-on device for water measurement together a smart home hub and an appealing and intuitive application it is possible to make a real difference. Combining this with the collaborative power of the community and the Artik hardware platform we can make a massive impact on our water use and the California drought. By working together as a team you can challenge surrounding neighborhoods to make an even bigger impact. Or joining up with all nearby neighborhoods and challenge another part of the city, or collaborate with everyone in your city, challenging another city to see who can make the biggest improvement. Working together with water companies, municipalities and other organisations allows us to spread the technology far and wide, like smart electricity meters. The TrueFlow platform can also be extended with large-scale ultrasonic flow metering, giving industrial and agricultural water users access to the same inexpensive, flexible technology. This allows farms and other big water consumers to optimize their water usage for an even bigger positive impact. There are no existing modular platforms for water measurement, so we had to research and learn about a variety of techniques for flow measurement. It was challenging to find a cost-effective and power-efficient solution. Working as a team to create a scalable, flexible and appealing solution that can have a big reach and make a big impact! Drought and water scarcity is a big, global issue and we need to cooperate and innovate to make an impact! We hope to create devices based in ultra-sonic measurement and expand from in-home measurement to large/scale industrial and agricultural applications.